Check out Tobi's See You Soon Off Shoulder Blouse Are you ready for some off the shoulder magic? 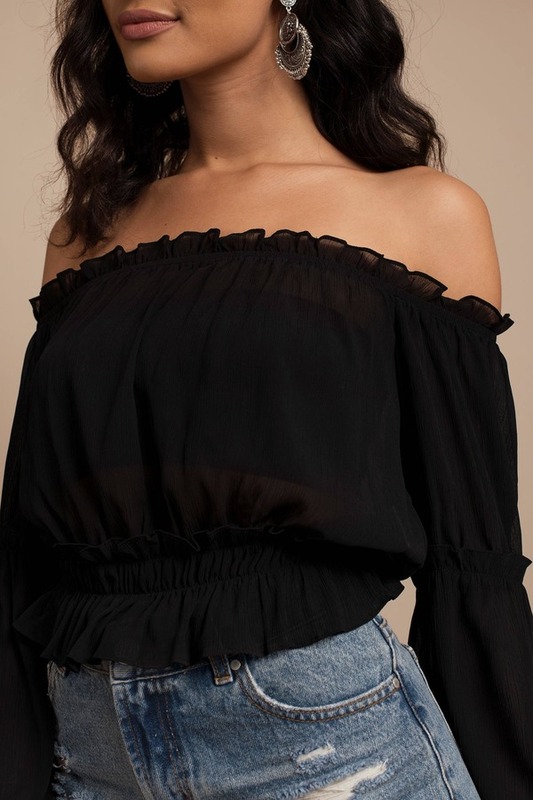 The See You Soon Off Shoulder Black Blouse is a flowy summer top featuring an off the shoulder construction, cinching at the waist and arm cuffs, and a slightly ruffled hem. This boho blouse will look fab with some high waisted denim and layer and layers of necklaces. Are you ready for some off the shoulder magic? 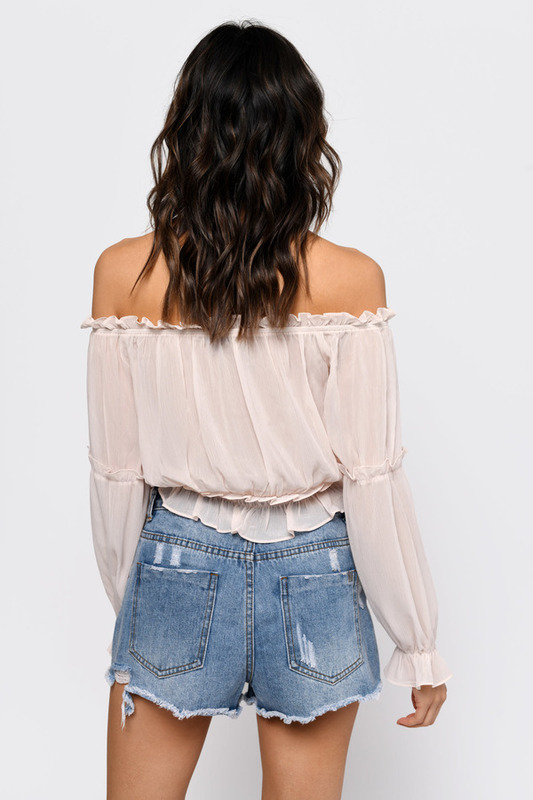 The See You Soon Off Shoulder Light Blush Blouse is a flowy summer top featuring an off the shoulder construction, cinching at the waist and arm cuffs, and a slightly ruffled hem. This boho blouse will look fab with some high waisted denim and layer and layers of necklaces. Are you ready for some off the shoulder magic? The See You Soon Off Shoulder Black Blouse is a flowy summer top featuring an off the shoulder construction, cinching at the waist and arm cuffs, and a slightly ruffled hem. This boho blouse will look fab with some high waisted denim and layer and layers of necklaces. Light Blush modeled on a size Small.